Located in metropolitan Phoenix, Chandler is 20 minutes from Phoenix Sky Harbor International Airport and is Arizona&apos;s fourth largest city. As the innovation and technology hub of the Southwest, Chandler is an excellent destination for meetings and events. Access the digital Chandler, Arizona Event and Meeting Planner Guide today to learn more about hosting your next event in Chandler! 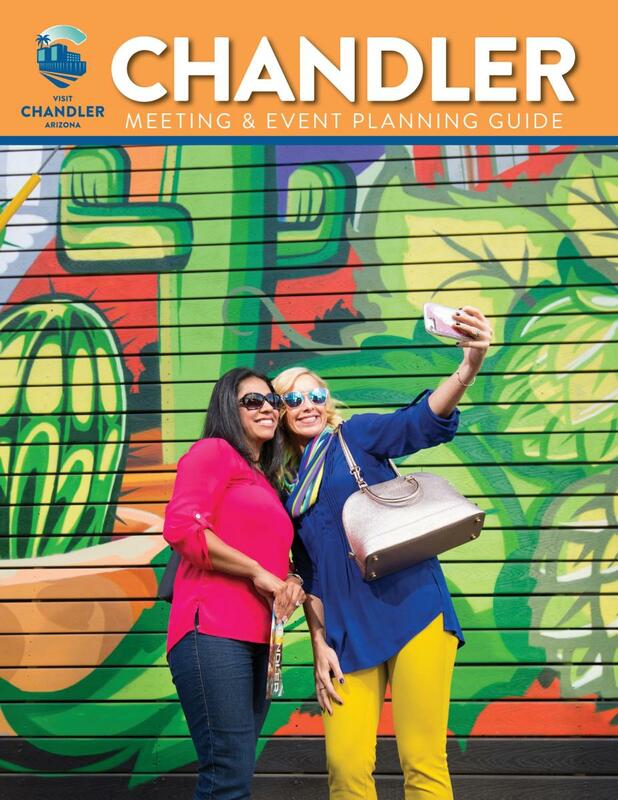 Staff at the Chandler Office of Tourism is ready to assist you with finding the ideal meeting or event location for your next program. Chandler&apos;s award-winning hotels, unique meeting spaces, and convenient location providing easy access to Phoenix Sky Harbor International Airport and freeways make Chandler and ideal location for meetings and events. Contact us today to learn more about our complimentary services and make the most of your time.